The regulation by light of the composition of the photosynthetic apparatus was investigated in photomorphogenic mutants of Arabidopsis thaliana (L.) Heynh. cv. Landsberg erecta. 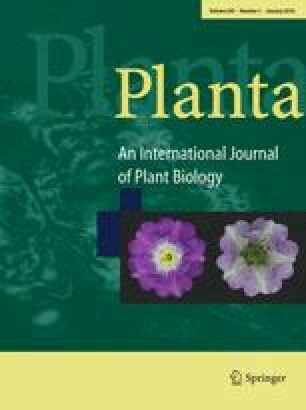 Leaf chlorophyll, photosynthesis, photosystem II function, and ribulose-1,5-bisphosphate carboxylase-oxygenase and photosystem II contents were determined for plants grown under high- or low-irradiance growth regimes. Although certain mutant lines had altered chloroplast composition compared to the wild type, all photoreceptor mutants tested were capable of light-dependent changes in chloroplast composition and photosynthetic function, indicating that photoreceptors do not play a central role in the regulation of acclimation at the level of the chloroplast. However, the clear acclimation defect in a det1 signal transduction mutant indicates that photoreceptor-controlled responses either share regulatory components with acclimation, or are important in the expression of components which in turn regulate acclimation. We suggest that the COP/DET/FUS regulatory cluster is a focus for multiple signal transduction pathways, including some of the metabolic signals which form the basis for the acclimatory response.